The International Baccalaureate Diploma Programme (IB DP) is a course designed for students aged 16 to 19. Students can choose to follow either the full IB Diploma Programme or their choice of individual IB Diploma courses. Widely recognised as the best possible preparation for study at university, the IB DP builds research skills, promotes personal responsibility and encourages independent learning. Students can choose one subject from each of the groups below, three at Higher Level (HL) and three at Standard Level (SL). Group 6: Arts (or a second Science, or a third language). From the IB Diploma courses on offer, students may take six subjects or less, and can do three or less at Higher Level. They can also take Theory of Knowledge and do an Extended Essay if they wish. CAS, however, is a compulsory component for all Diploma students. This is an interdisciplinary course where students explore the nature of knowledge across all disciplines. Critical thinking is encouraged by questioning assumptions and asking how certain of knowing what we know, The course promotes international mindedness by requiring an understanding of different cultural perspectives. The EE gives students the opportunity to independently investigate a self-directed research paper of individual interest. Through writing this 4,000 word essay, students develop the skills of independent research, including analysis and evaluation which will prepare them well for study at university level. As one of the three core elements that students must complete, CAS runs alongside students’ academic subjects. Students become involved in purposeful artistic pursuits, physical activity and community service projects. Fostering awareness of the broader community and life outside of the classroom, students carry out and reflect on challenging activities that have real consequences, thus promoting personal responsibility. 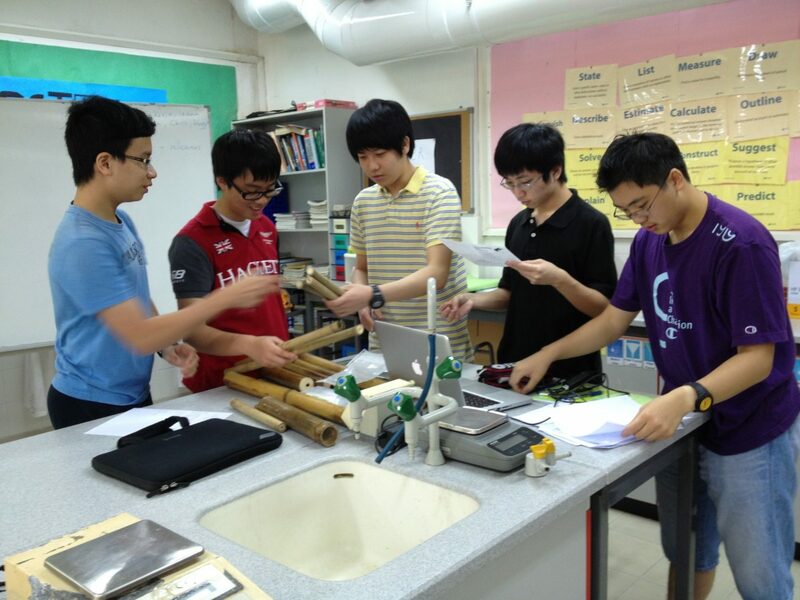 Students are assessed using a variety of methods, including examinations, essays, case studies, oral presentations, fieldwork, laboratory work, investigations and artistic performances. Some assessment tasks are marked externally by the IB, while others are internally assessed by teachers but externally moderated by the IB. All subjects are marked using the IB 1-7 scale, where 7 is the highest and 1 the lowest. Theory of Knowledge and the Extended Essay in combination are worth 3 points. The maximum score in the IB Diploma is therefore (6 subjects x 7 points) + 3 points = 45 points.